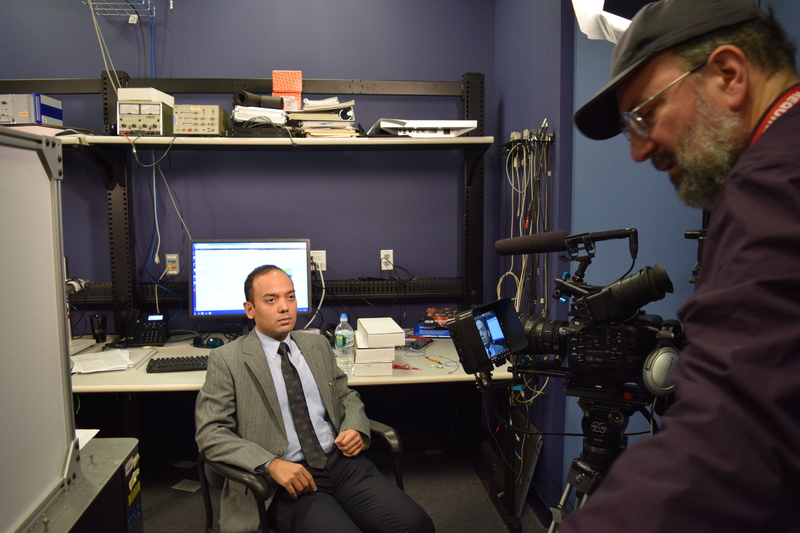 At Skillman Video Group we are used to filming different topics that require varied expertise, but one recent video shoot particularly had our crewmembers “Geeking out.” Recently, SVG was hired by a company in Washington D.C to film a documentary style video of Raytheon BBN Technology employees. 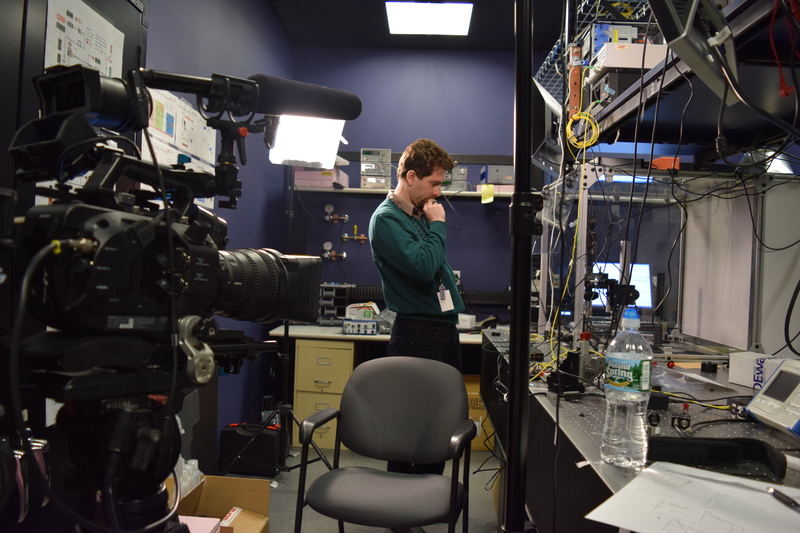 We were asked to shoot at one of their headquarters in Cambridge, MA, where we interviewed five employees on their industry leading research, applications based on quantum phenomena, academic atmosphere with industrial resources, and their collaborations with other leading researches. 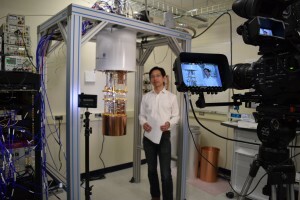 Our professional videographer was also asked to take B-roll shots of the BBN grounds and lab rooms. The raw video was then overnighted back to Washington D.C for post-production. Filming at BBN headquarters not only provided us with visually effective shots for both the interviews and B-roll, but also became a learning day for our video production crew. If a person is shot with their body facing the right and their head looking toward the left of the camera, then the next interviewee must be shot with their body facing the left and their head looking to the right of the camera. The interviewee should NEVER look into the camera when talking and should always look at the interviewer sitting to the side of the camera. For every interview we were always in a different lab, which provided us with different backgrounds. Our professional videographer had to constantly read just the white balance from room to room due to the slightly different room lighting. 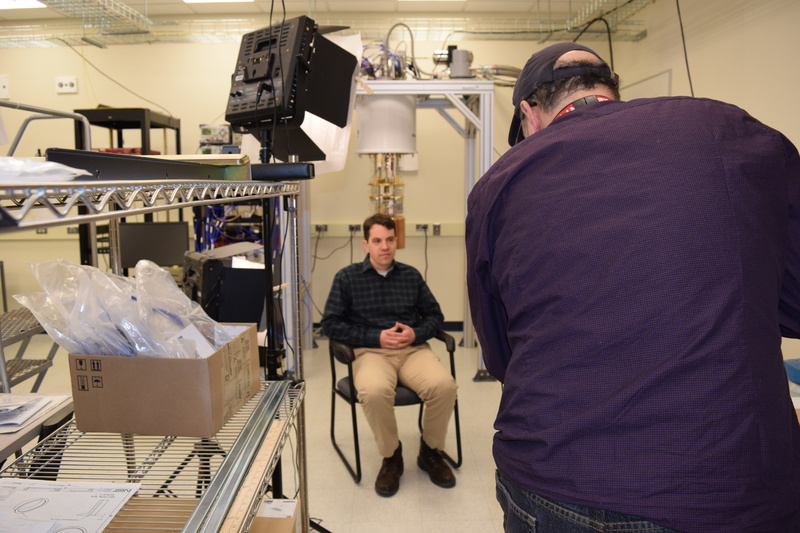 We also found ourselves in some tight quarters of the lab trying to get the background shot for an interview, and also had one interviewee stand up instead of sitting down so we could get the equipment behind him. Though this can be considered as breaking the documentary style rules, it was all a part of capturing their impressive work and it looked perfect on the screen. 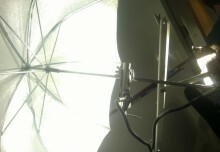 Though the subjects and the interview answers are the most important part of the video, providing evidence of the employees work enhances the visual aspects of the video. Also that visual evidence makes the video much more intriguing to the audience. Working in a fully operating lab had its difficulties, especially when you are surrounded by small lasers, things that go “beep” and flashy buttons. For the crew, we were particularly taken back by some of the research and advancements discovered in this building; but our main focus was to shoot an interview where there wouldn’t be any ambient sound, meaning the “beeping” noises heard over the interviewees voice. Though we did our best to cover up the sound by moving the interviewee closer to the camera and asking the employees if they could turn off some of the louder equipment, we took roomtone for post-production just to be sure. This allows the editors to hear what noises need to be adjusted and taken out of the video. 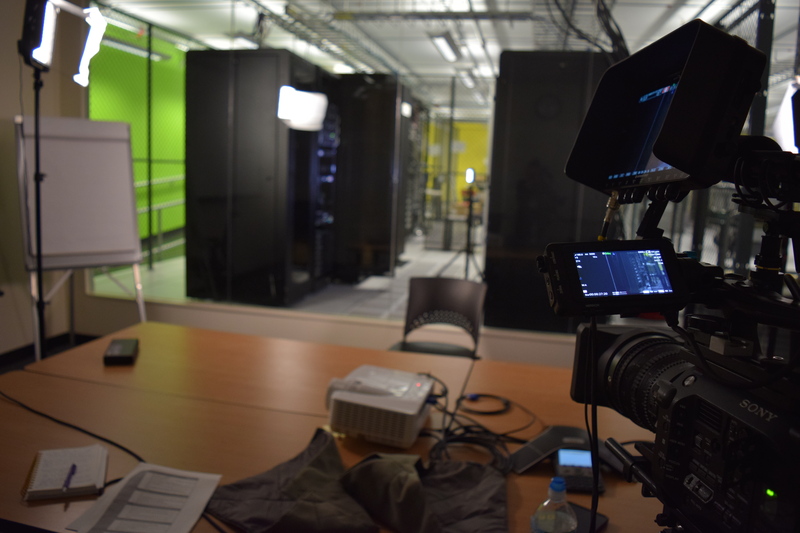 Overall, shooting at Raytheon BBN Technologies provided our crew with a tremendous amount of images for B-roll and intriguing backgrounds. 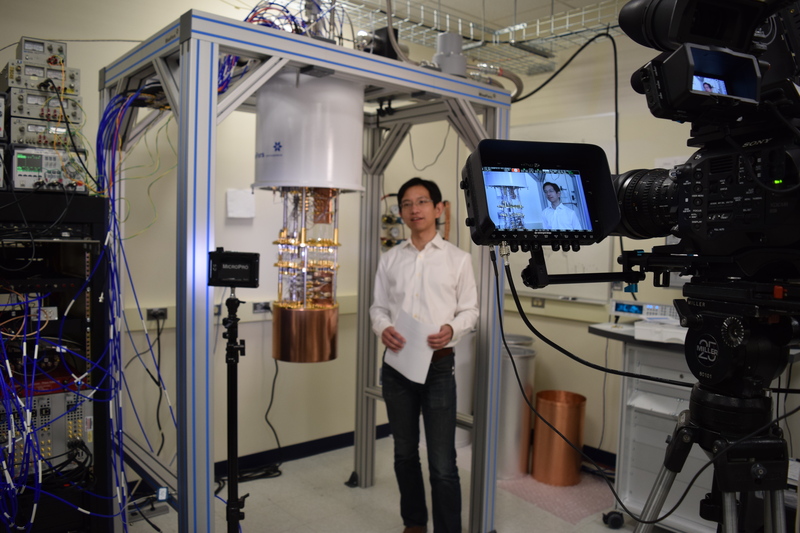 The employees were excited to have our video crew there and were more than willing to show us around their labs and teach us a little bit about protons, lasers, and quantum phenomena. We loved every aspect of working at Raytheon, as it showcased some of our favorite aspects of Boston video production.